La Paz is the breath-taking city of Bolivia. With over 7 million residents, it is the third-most populous city in Bolivia. With its colonial landmarks and renowned markets, La Paz is the cultural centre of Bolivia. Touristic attractions include the San Francisco Cathedral, Jaén Street, Museo Nacional de Art, Textile Museum and its sacred Witches’ market. Cheap flights to La Paz are now available for a limited period of time, so get ready to be elevated by this mountainous city! La Paz is the home of El Alto International Airport (LPB), located a short 30-minute drive from the city centre. 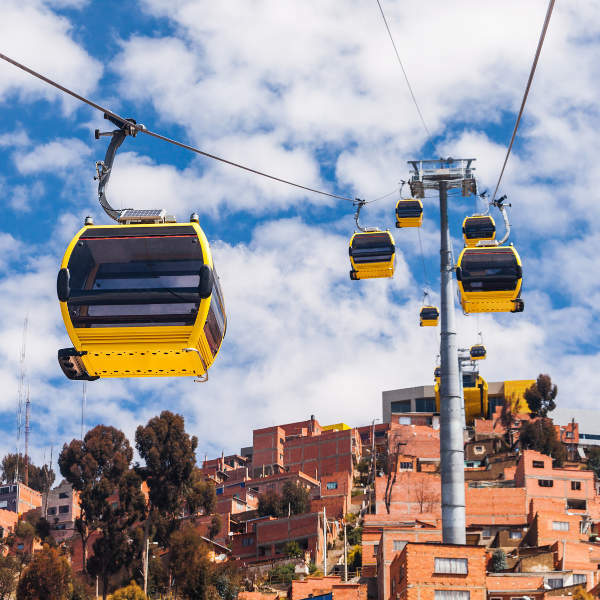 Seize 3 hours of breath-taking, bird’s eye views from El Alto to La Paz City. Exquisite scenes of unimaginable hills, the modern aesthetic, and of the city can be seen! A remnant of the city’s colonial era, Jaen Street features brightly plastered houses, museums, bars and restaurants. The old-world, cobble-stoned streets is ideal for wandering around on foot. The world’s most dangerous road is cycled by tourists’ everyday – definitely not for the fainthearted. 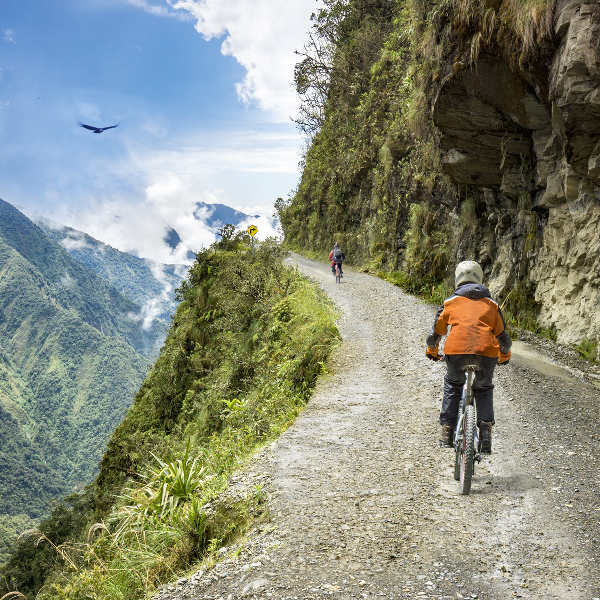 Thrill seekers journey through clouds and serene views of waterfalls on Death Road. The weather is mostly influenced by altitude and topography, rather than between different seasons. For cheap flights to La Paz, visitors should consider travelling during the shoulder season (April to May or October to November), since the weather is pleasant with few chances of rain. From November to March, temperatures become a little milder. The city plays host to Feria de Alasitas, during the last week of January. The high season for tourism is winter (May and October). It is colder at night, during this time. Summer (November to March) is the rainy season, so visitors should be cautious when trekking, as trails become muddier and clouds obscure the view. 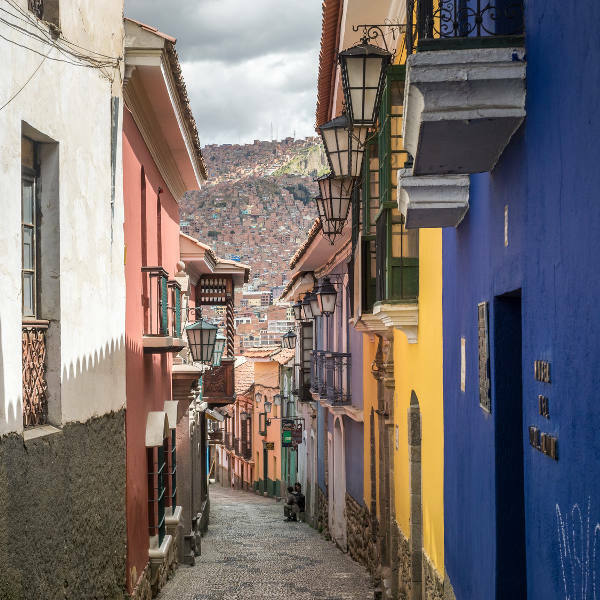 A bustling city with a jovial atmosphere, La Paz delights all who wander through its streets. Situated at over 3500m above sea level, this awe-inspiring cocoon city leaves you gasping for air. If the altitude doesn’t shock you, the reality of its vast natural sights surely will. Its dual identity can be observed through its aesthetic; visitors are treated to a city comprised of indigenous and European influences. The street markets are where you will find some interesting local goods such as ritual paraphernalia, which are used for communicating to the spirits and mountain gods. The city’s streets are delightful to stroll through, as you are overwhelmed by the traditions of the locals. From the Chulita women – wearing long braids and bold-coloured flowing skirts – to business professionals, you are sure to see all walks of life in this buzzing space! Compare several airlines and book your cheap flights to La Paz online with Travelstart! Due to the city’s high altitude, travellers should take precautions against “sorojchi” (altitude sickness). Sorojchi pills can be bought at local pharmacies, in La Paz. Travellers are advised to buy bottled water as the tap water is usually undrinkable. • Yellow fever vaccination is recommended for travellers who will be spending time in the Bolivian Amazon. • Malaria prophylaxis is recommended if travellers plan to visit tropical-rural areas. • For preventative measures, travellers should take the following vaccines: Hepatitis A, hepatitis B and tetanus, diphtheria and measles booster-vaccines. La Paz is a big city. Therefore, it is encouraged to keep your wits about you when touring in the city. • Take a taxi after 8pm. • Be sure that it is a licensed taxi. • Do not walk down dark alleys. • Do not carry large amounts of cash on you. • Avoid wearing flashy jewellery in public. • Be vigilant of petty theft and pick-pocketing in restaurants, public transport, markets and cafes.